The Energy Excellence Awards program, presented by the Daily Oil Bulletin, uniquely recognizes energy excellence and focuses on the advancement of collaboration within Canada’s energy industry. The DOB received just over 90 nominations in three broad awards categories — Operational & Project Excellence, Innovation & Research Excellence, and Exporting Excellence. The nominees were further broken down into 12 subcategories within each of the three groupings, before being judged by a committee of seven industry leaders. From April 15 to May 1, we will be sharing the best projects, technologies, and companies in these subcategories. Today, the best of operational excellence in the oilsands. Ten years in the making, Suncor Energy Inc.’s Water Technology Development Centre (WTDC) will be fully operational in Q2 2019, allowing its partners to test new water technologies to improve the sustainability performance of thermal in situ oilsands projects. The $143 million “live fluid” test facility is located at Suncor’s Firebag Steam Assisted Gravity Drainage (SAGD) oilsands facility. Established collaboratively by Canadian Natural Resources Limited, CNOOC, Devon Canada Corporation, Husky Energy Inc. and Suncor Energy Inc., the WTDC responds to the industry challenge of developing technologies past the lab or bench scale to the pilot or near-commercial scale. “The WTDC allows the partner companies to test more technologies than each could on their own, while sharing the risks and costs of development,” says Brad Sobey, manager operations technology development, Suncor. Charting the history of the project, Sobey says the partners were ready to start construction in 2014, but when oil prices tumbled, those plans were put on hold. “We felt there was an opportunity to reduce our costs in building the facility by letting the market conditions cool down. That turned out to be a very good decision, even though it pushed us out by about a year-and-a-half,” he says. The delay in construction saved the partners $20 million from the original budget. The scope for the work proposed for the WTDC is water technology development that reduces environmental impacts, capital and operating costs, and increases reliability. “Essentially, it’s about making thermal in situ oilsands projects more competitive in a low oil-price and lower-emissions intensity environment,” Sobey says. The roster of pilot opportunities includes more effect emulsion separation, oil removal, water treatment, steam generation, water waste management, chemical usage, instrument and analyzers, advanced process controls, and other facets of in situ operations. “We divided the potential technology tests into ‘incremental technologies’ and ‘game changing technologies.’ In years one, three and five, we will focus on incremental technologies. Starting in the second year and the fourth year, we’ll look at new technologies,” Sobey says. The initial incremental technology tests will target existing assets to cut water consumption by five or 10 per cent and to reduce GHG emissions. Later, more aspirational testing is expected to lead to changes in the design of central facilities, how SAGD facilities are built and how they operate. Each of the five partners in the WTDC have an equal vote on which technologies are tested. Representatives from each partner company then work collectively on the chosen projects. “We do a lot of work with universities and colleges and research companies so, at the end of the day, you’ll see programs developed with those institutions as well as with SAIT and NAIT. We’re working collaboratively with them to help de-risk a lot the technologies upfront and to get a much better idea of which ones are most likely to succeed,” Sobey says. A benchmark goal for the partnership is to reduce makeup water usage by 30 to 40 per cent and cut disposal water by half, or more. Successful technologies can then be implemented by the five partners. Sobey says these technologies will also be shared with the Canadian Oil Sands Technology Alliance (COSIA), so the potential impact of any advances coming from the WTDC will be industry-wide. The facility is slated to run for a minimum of five years, with an option to extend operations beyond that timeframe. Carbon capture and storage can be a pricey way to reduce GHG emissions if CO2 is strictly seen as a waste product for disposal. But carbon dioxide miscible-floods in enhanced oil recovery, and CO2 sequestration in concrete to make stronger building products show that carbon dioxide is a valuable feedstock for other applications. Re-envisioning waste streams will, ultimately, drive the shift to a more sustainable “circular” global economy. A variation on this theme is Canadian Natural Resources Limited’s Non-Segregating Tailings (NST) process that includes the capture of CO2 and its injection into oilsands tailings to further accelerate the settling of fines and other tailings components. NST are tailings that have been significantly dewatered to form a homogeneous, semi-cohesive mass for deposit into a tailings area. The dewatering process includes the use of cyclones to separate out coarse sand, and thickeners to capture and remove water from the fines. The warm water that is removed and recovered from the NST process is then re-used in bitumen extraction, which reduces GHG emissions by minimizing reheating requirements. The coarse sand and thickener underflow are then mixed and further combined with CO2, which has been proven to speed the settling of fines. “What non-segregating tailings does is actually put the rock and the clays back together without the bitumen. So it essentially creates what came out of the ground,” says Joy Romero, Canadian Natural’s vice-president of technology and innovation. The NST and CO2 sequestration process is fully deployed at Canadian Natural’s Horizon mine. Combined with the water reuse in bitumen extraction, Horizon has been able to reduce its direct GHG emissions by 24 per cent over the last five years. The mine has also achieved a significant reduction in water usage, a smaller tailings footprint and less time to reclamation. “We now have tailings that meet and exceed regulatory prescriptions. This is why you hear much less about tailings issues,” Romero says. Canadian Natural’s investments into tailings research, technologies and projects over the years has topped $3.5 billion. This includes the construction of its Applied Process Innovation Centre (APIC) in 2015. The APIC is a 3,600 square-foot research facility that a dedicated work space and resources for scientists and engineers to investigate and accelerate the application of tailings technologies and bringing them to commercial scale. It also facilitates collaboration on research with other industry members directly and through COSIA. “What COSIA has done is remove the barriers to intellectual property. So now, we have really tight legal agreements in place and absolutely everything in the tailings project is shared between the operators. There is nothing that is held back,” Romero says. This open-source technology approach is accelerating the development and deployment of technologies that are putting bitumen production on the same environmental and economic footing as conventional oil production. “We are leaders in innovation and, as an industry, we don’t talk about it enough. If you look at, for example, just oilsands GHG emissions levels, and compare the average barrel produced in the United States, we, as individual companies and as an industry, are well below [U.S. levels] or just above it. So there is no dirty oil in Canada. It is absolutely a comparable product and Canadians need to know this,” Romero says. 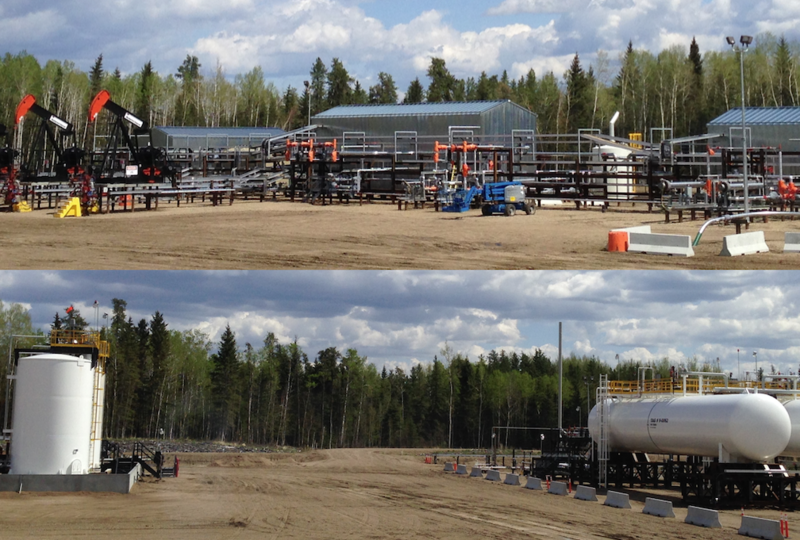 The oilsands industry has been testing solvents for situ bitumen extraction for years now. These tests vary from solvent-assisted SAGD, which sees the co-injecting of relatively small quantities of solvent, to solvent assisted SAGD that is predominantly solvent. But at the far end of the spectrum is also Imperial Oil Limited’s work on pure solvent injection. Imperial’s Cyclic Solvent Process (CSP) is a non-thermal bitumen recovery technology. A liquid solvent (propane) is injected into the formation followed by bitumen/solvent production in a cyclic fashion. This approach eliminates water usage and reduces GHG and other atmospheric emissions by up to 90 per cent, compared to current thermal processes such as SAGD or Cyclic Steam Stimulation. CSP has been an active research area for Imperial for over 20 years. It has seen three previous field tests and is currently being tested in an ongoing three-well pilot/research program. “The potential public impact of the CSP technology is a game-changing bitumen recovery technology,” says Gordon MacIsaac, Imperial’s research engineer and CSP research team lead. 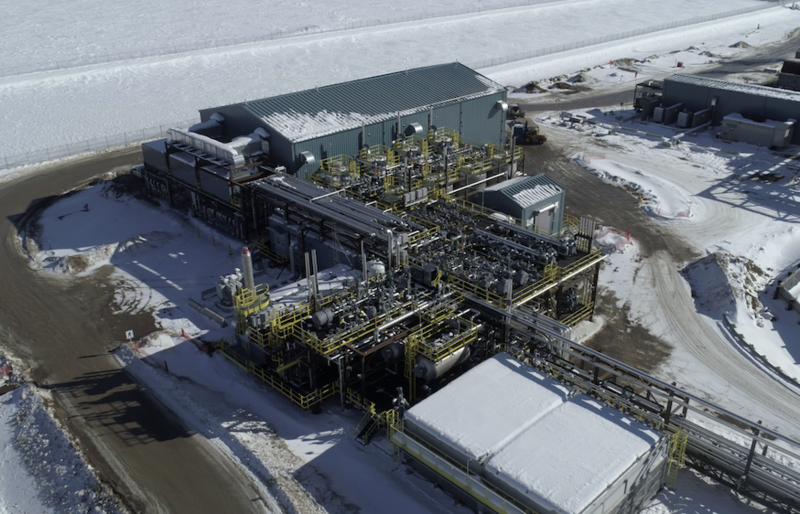 Imperial’s CSP team worked closely with its Cold Lake operation team, ExxonMobil Upstream Research Company, Emission Reduction Alberta (formerly Climate Change and Emissions Management Corporation) and IETP (Innovative Energy Technologies Program). The most recent CSP pilot received a total of $20 million in funding through the IETP and the ERA. As a pure solvent and non-thermal process, Imperial’s CSP is unique in the industry. The technology holds far-reaching potential for long-term strategic development of bitumen production and it has the ability to redefine best-in-class emissions targets for the oilsands industry. But GHG emissions reductions need to be balanced with real world economics and the jury is still out on that front on its commercial viability. “We have deemed CSP to be technologically ready to deploy and Imperial is currently evaluating the commercial viability of the technology,” MacIsaac says. Continuous improvement and learning through experimentation are the basis of Imperial Oil’s corporate culture, which drives its innovation and technical progress. “We are currently working on multiple new technologies that have commercial potential and will significantly reduce the environmental impact of in-situ extraction. Each of these projects have built on lessons learned from the success of the most recent CSP pilot,” MacIsaac says. The Energy Excellence Awards will be presented at a reception on May 2, 2019, at Devonian Gardens in Calgary. Click here to buy tickets!